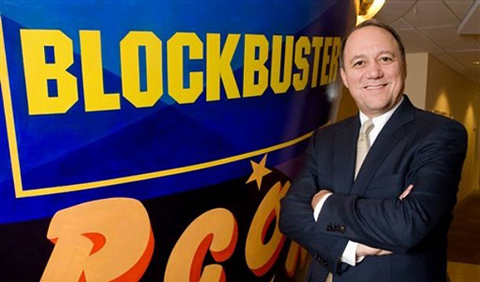 Blockbuster to Replace Keyes as CEO? Fresh off of a contract extension and six-figure retention bonus, bankrupt Blockbuster’s CEO Jim Keys may be on his way out. The Wall Street Journal is reporting that BB has hired an executive search firm to replace Keyes and possibly other company executives. BB’s largest creditors, including billionaire Carl Icahn, must sign off on the new Blockbuster CEO by the end of the year, according to the restructuring deal made before BB entered bankruptcy. Keyes himself apparently remains in the running for the CEO spot, but anonymous sources consulted by the WSJ portray his chances as slim. What are the odds that Blockbuster’s senior bondholders will allow Keyes to keep the reins, Insiders? What kind of company will the new BB CEO, whoever he or she is, inherit in a few months? Leave your opinion in the comments. Icahn is steering this boat now and he and Keyes do not like each other. I suspect his time is nearly done. Stick a fork in him, he’s done. This is the same guy who two years ago said that Redbox was “No threat” to BB. What an idiot. To be fair he had a near impossible job. I’m not sure anyone could have done meaningfully better given the hand he was dealt. I think he lived in Dallas already so it’s not liked he moved his life or anything. He needs to be on his way out if it took him to bankruptcy to see the changes that need to be made in the company. There is no reason it should still be $5 to rent a movie out at blockbuster for one thing. It is $5 for 5 days, but it needs to be $1 a day with no late fees per se. Just $1 a day. They need to really look into their rewards program and fix it, as well as come up with better monthly plans for their online and total access programs. They can easily come out of this with the right services, and advertising to get people to realize the services. They have been stubborn in the past mostly bc they were their only competition, but now that that has changed I think they will be catering to the costumers for once. He drove 7-11 to near bankruptcy, then got the boot, then took Blockbuster in the same direction. Heck of a CEO. It doesn’t matter at this point who the CEO is though. It would be like replacing the captain of the Titanic after they hit the iceburg. Its just another person in place to steer the ship as it sinks.